Considered to be a national heritage, this museum houses the abundant collection of geological materials like fossils, rocks and minerals. 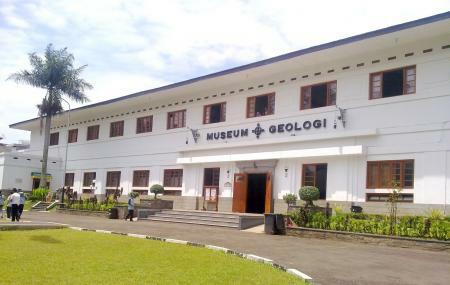 Initially serving as laboratory and storage areas of geological and mining results from different regions of Indonesia, it was expanded again not only as a means of research but also to function as a means of education, provider of a variety of information about earth science. Among the objects which are collections of fossil hominid skulls in the world, fossil skeleton of pre-historic animals, weighing 156 kg meteorite that fell on March 30, 1884 at Jatipelangon, Madison. A must-visit for science enthusiasts! Also, visit the popular attractions in the city by following Bandung itinerary 1 day. Tickets for children is 2000 IDR. How popular is Geology Museum? People normally club together Museum Of The Asian-african Conference and Saung Angklung Udjo while planning their visit to Geology Museum. A really rich museum of natural history! Both the specimens and informations are very entertaining to study. A good place for visitors at every age. Some of the interior has been revitalized to cater for an increasing numbers of visitors, and its mostly really noisy at weekends. But despite of that, this place is suitable for people to observe and contemplate on their life in comparison of eons of ages the earth have changed without them. Everyone should come visit once even if solely for that eye-opening experience. A personal favorite of mine for the childhood nostalgia too. Will definitely visit again!